Fig. 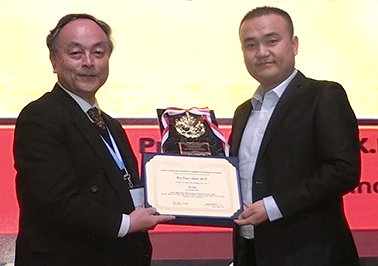 From Prof. Kaoru Hirota (left), JACIII Editor-in-Chief, Prof. Fei Yan received a plaque and a certificate of the JACIII Best Paper Award 2018 on behalf of the authors at ISCIIA&ITCA2018, Nov. 4, Shandong, China. Fig. 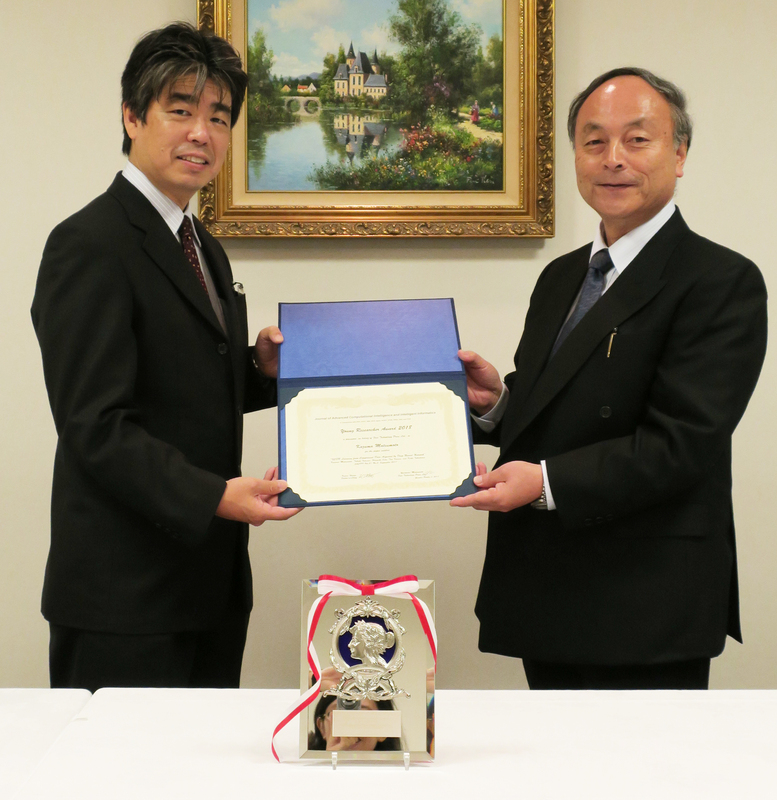 Prof. Keiki Takadama received a certificate and a plaque of the JACIII Young Researcher Award 2018 on behalf of Mr. Kazuma Matsumoto.